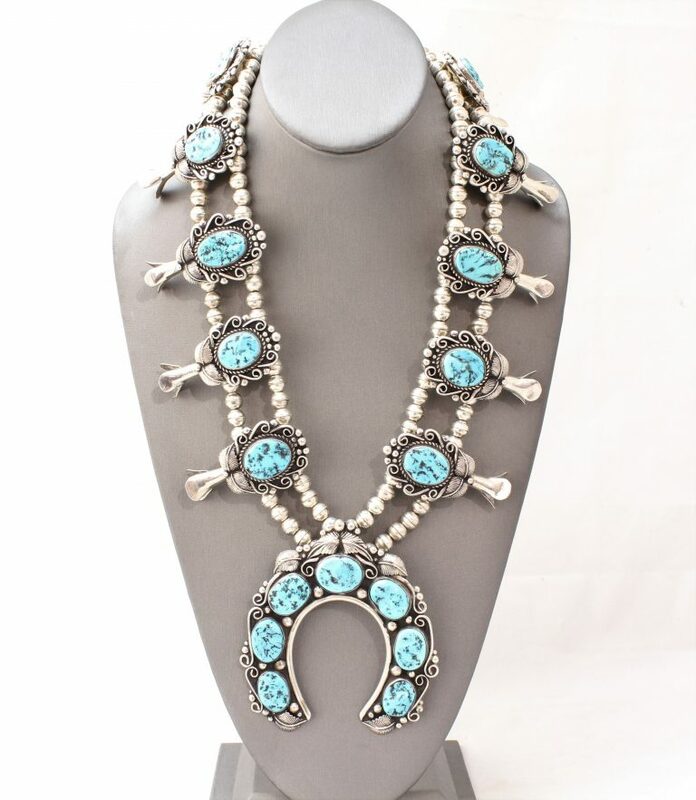 Native American turquoise squash blossom necklace featuring 17 turquoise stones. It has two strands of beads that go into a single strand where they connect to the clasp. Naja is horseshoe shaped with 7 turquoise stones. Has silver feather and scroll designs around the stones.